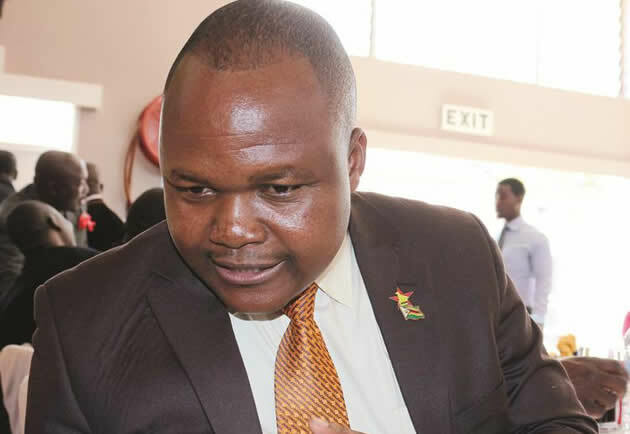 The High Court has cancelled former Higher and Tertiary Education deputy minister Godfrey Gandawa’s indictment on corruption charges, describing the case of officials accused of abusing Zimbabwe Manpower Development Fund (Zimdef) money as “dog’s breakfast”. Gandawa, who was accused of conniving with exiled former Higher Education minister Jonathan Moyo to fleece Zimdef, was facing 14 counts involving criminal abuse of office, corruption, concealing a transaction and fraud. High Court judge Justice Tawanda Chitapi ordered prosecutors to put their house in order ahead of the trial on November 5. “The court cannot proceed with trial where charges are so disjointed that one or other of the accused persons (Gandawa, Shepard Honzeri and Zimdef finance director Nicholas Mapute) becomes a non-participant or passive participant or actor in the course of what essentially is meant to be one trial,” the judge ruled after Gandawa applied for an exception of charges. “The misjoinder in this case vitiates the fairness of the trial and ought to be countenanced. The state must simply put its house in order,” he added. Gandawa, Honzeri and Mapute were all facing the same criminal charges, which the judge said had been badly presented. Moyo, who was supposed to have stood trial with his former subordinates, went into exile in November last year after former president Robert Mugabe was toppled in a coup. Gandawa’s lawyer Eric Matinenga filed an application to have the charges against his client quashed and also applied for exception to the charges, culminating in the current judgement. “It seldom happens that a judge in the High Court has to be called to court and be presented with trial papers that are a confused mess akin to a dog dinner or breakfast for want of a better expression,” Justice Chitapi said. The judge also castigated the state and the lawyers for failing to conduct a pre-trial conference with a view to agreeing on the criminal charges and the best way forward to conduct the trial. Justice Chitapi said section 159 of the Criminal Procedure and Evidence Act, which the state had sought to rely on in joining the accused persons on the 14 counts, was not applicable in the Zimdef matter.